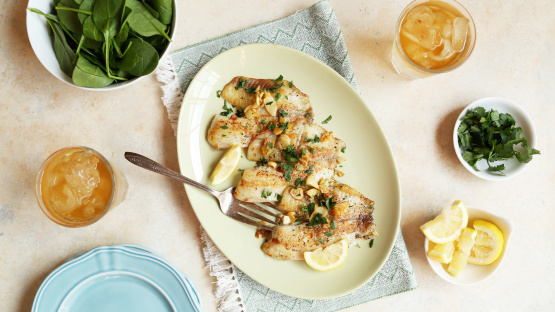 Successfully saved Tilapia Al Ajillo (Garlic Tilapia) to your Calendar. You can also save the ingredients to your Grocery List. You can do this with any white fish, sea bass is great this way. Fish is often served this way in the Canary Islands, though usually it is the whole fish instead of fillets. YUM!